When you design or create a space you will need to look into the functional aspect of the area. Workspaces like bathrooms require this functionality in double the normal rate. Depending on the size of the vanity your space functionality can be increased or decreased. Is your bathroom large enough to adjust ‘double’ sink or should you install a single one? Amount of ‘counter space’ is required? 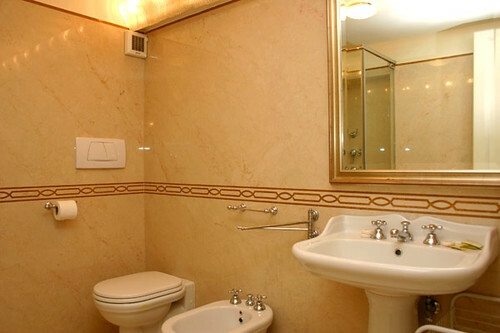 The vanity size depends largely on the ‘plumbing placement’ and the space size. For complete renovation you would get a choice in vanity size but if the ‘plumbing placement’ cannot be altered, you will have to consider purchasing a size that fits into the given space. Stylizing Your Bathroom: You will find the market crowded with various styles and materials for vanities. While the traditional style is inclusive of ‘walnut’ and ‘cherry’ wood as material, the newer options include ‘laminates’ available in numerous colors or patterns. If you have a limited budget, you can choose ‘thermafoil’ instead of the ‘MDF Fiberboard’ ones, making careful selections this is because of the fact that these materials give problems in ‘damp’ condition unlike wood. Finally, it is your choice of ‘style’ and your ‘budget’ which guide your vanity- buying preference. Material Variety: While purchasing vanity and countertops you will need to remember and consider the ‘budget’ and ‘functionality’ aspects of the products. You may also come across a ‘vanity-countertop’ combination and opting for these products will help ease your planning process. There are other varieties though from which you can select the material that you think will suit your requirements. Marble, granite or any other stone will offer luxury and beauty to your bathroom décor. And to prevent staining you will need to resort to ‘periodic sealing’. Quartz and other artificial material like Corian offer a ‘natural stone’ feel with variety in pattern and color. Among preferences in style you can opt for ‘undermount’ or ‘drop in’ sink. These materials can be cleaned easily which is why the customized varieties are good to buy. ‘Plastic laminates’ or Formica are the most common materials available in various colors, patterns and designs are the cheapest of the materials. It is easy to replace the laminates that are damaged or stained. Budget- It is a very big factor that contributes to the purchase and installation of vanity in your bathroom. For limited budget, you also have attractive and lasting materials in vanities which will add to the elegance of your room. Functionality- How effectively you place the vanity in the bathroom to create space for other works within the given space will define how functional it is. Decoration and style- Limitless vanity styles are available in the market but you will need to choose the one that matches your bathroom and goes in sync with the theme of your home décor. Conclusion: If you maintain the above three aspects while buying a vanity for your bathroom you will get access to the best selection available for your project. Thus, your home value will increase by folds and so will the elegance of your home décor. Summary: A Vanity is an important selection to make while designing your bathroom. Some tips in choosing the right one for your bathroom are discussed in the writing. Author’s Bio: Mary is a proficient writer who has expertise on the subject of interior design. She regularly contributes articles on compost toilets and other home décor topics. This entry was posted in Blog, Vanities and tagged Bathroom Style, Bathroom Vanity Selection.